So recently caught the J.J Abrams Sequel STAR TREK into Darkness. This Review is SPOILER FREE so continue to read without any Plot Lines spoilt. So, who is a Trekkie? Well Not Me! Before Jar Jar Abrams ( It's J.J but I was referring to the whole Star Wars connection........I don't know why I'm explaining poor jokes ) made the 2010 Reboot/Remake/Sequel/Prequel/Parallel Universe Star Trek I was never interested in the whole world of Star Trek. I found it tacky, cheap, too exclusive and a bit too nerdy for me. So I went into the first film awaiting to see whether I could like a film based on a series i had no affinity for, and luckily enough I came out of the cinema a fan of Abrams vision. 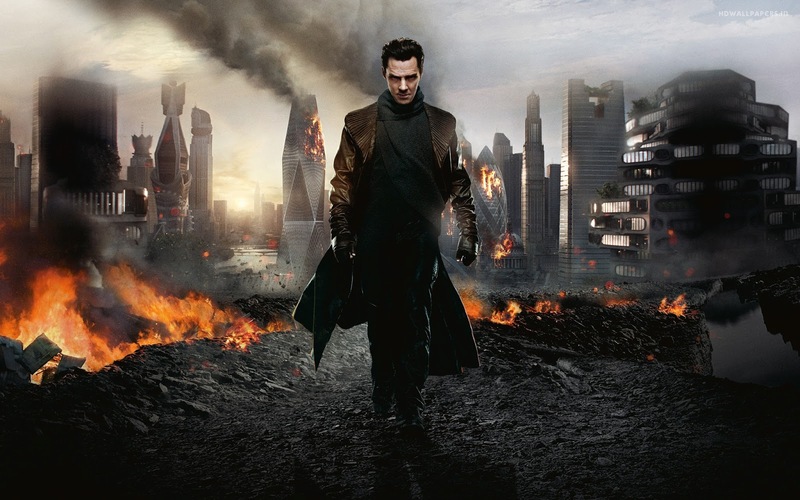 Star Trek into Darkness is one of the most eagerly anticipated movies of the year. A year which is possibly full of great blockbusters, with Iron Man 3, Man of Steel, Thor 2, Pacific Rim, Another Earth and many more we might just be spoilt rotten with some mind blowing action to come. 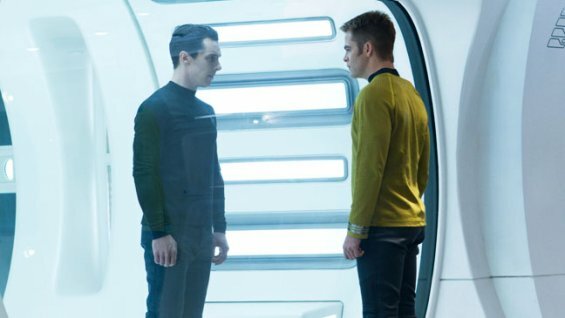 There were 3 things got me excited about seeing Star Trek into Darkness, and instead of doing a mundane review I will incorporate my view on the film with my expectations. Again, NO SPOILERS ahead, so If you are still reading, don't worry, I won't spoil the twists ( if any ) to you. With most films that reboot/re-imagine/prequlize something have to start again from scratch. Origin stories need to be explained and this can sometimes repeat the same stuff we have all read/seen before. BUT it is necessary to first film. So with the origin set up in the first film, and even the whole parallel universe plot device established, this film could jump straight back into action after re-introducing the characters after about 5 minutes. Think back to The Dark Knight. That movie felt very stand alone compared to Batman Begins, and that was because there was no need to spend time with origin story lines. Star Trek into Darkness did just that, by jumping straight into action with all the key characters and getting the audience involved from the out. Also the set piece at the start is brilliant, especially in 3D! In fact the 3D in this film is the best I've seen in a while as the whole time I was aware of the extra dimension on screen. Too many films tend to make me forget I'm watching 3D and it doesn't stand out enough. Who doesn't want to see Sherlock play a Bad Guy in an Epic Blockbuster? This Guy is one hell of an actor. From everything I have seen him in, whether it's small indie films or period dramas, he has always had a great screen presence He seems to know how to command a scene simply by looking at someone a certain one or delivering a line with his attention commanding voice. In The TV show Sherlock ( Which most people will know him from ) he manages to deliver pin perfect dialogue that makes you pay attention. In this film he replicates that. His Role as the Bad Guy John Harrison is a great character. He's mean, menacing, calculating, non remorseful and clever. He manages to strike fear into the minds of all the characters on screen, including Pete Weller ( Bloody Robocop! ) who makes an appearance in this film. He plays this role like Hannibal Lecter meets James Bond. Such coolness in his approach to action as well as the socio-pathic tendencies he possesses He gave me the same thrill I got when seeing Heath Ledger dominate The Dark Knight. He is that good in this film. When I heard J.J Abrams was taking on Star Wars Ep.VII onwards, I knew Star Trek into Darkness was going to be used a teaser as what he will do with the Wars Universe. Even though I am not a massive Star Wars geek, I still prefer that world to Star Trek, although I do agree with a lot of people Episode's 1-3 were awful. 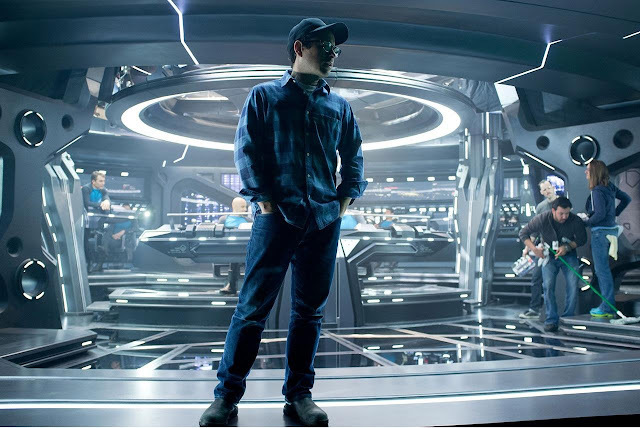 I am really looking forward to seeing the new Star Wars as Abrams have free reign to take the saga anywhere, he has no Prequel limitations holding him back, no story of a child who is sad and intergalactic taxes. Abrams can really go all out and make Star Wars Episode VII an Epic Sci-Fi Action Blockbuster everybody wants it to be. 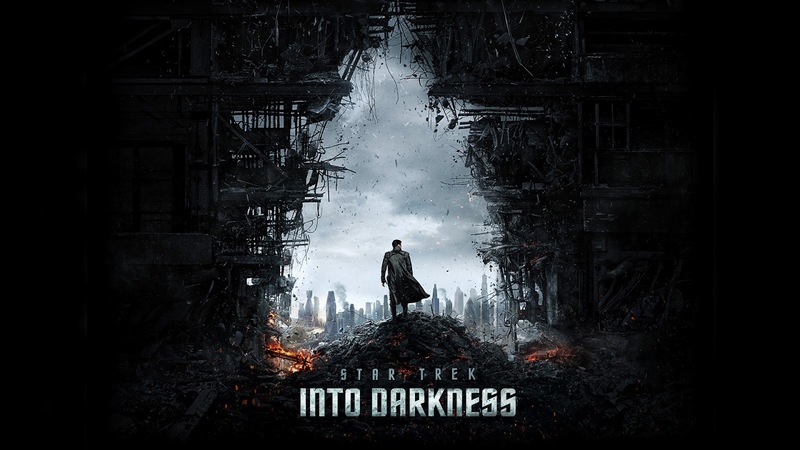 With Star Trek into Darkness, he manages to have a commendable storyline which is stand alone as well as incorporating important references from the Trekkie World, and also brings together some amazing Action set Pieces that really get your adrenaline pumping. There are certain scenes in the movie that LOOK like they belong in a Star Wars film, and that is why this man is the right man for the job. So All in all I really enjoyed this film. A brilliant sequel and hopefully, with or without Abrams Direction, the franchise can continue and be amazing. Great Acting on all parts from the cast. 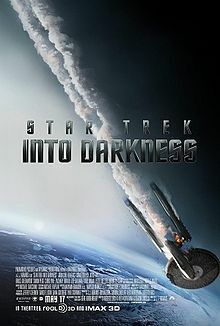 Zachary Quinto is perfect as Spock, Chris Pine continues to impress as cocky, self assured Kirk, Zoe Saldana is subtly beautiful, John Cho and Anton Yelchen do great in their roles, Karl Urban is underused but still good, Alice Eve looks great in her underwear and Simon Pegg gets a bigger role than expected and thrives on his Scotty role. Verdict: This Film is a Hit and A Must see! Check it out.